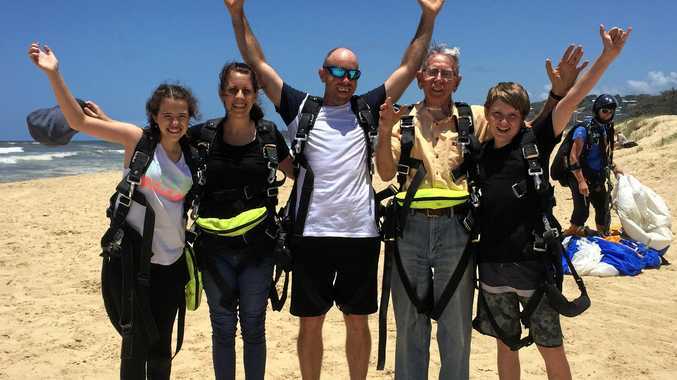 AT 96, Tewantin great-grandfather Ern Jackson has started a new family Christmas tradition - skydiving. This week three generations of the same family went skydiving and the smile on Mr Jackson's face as they all landed safely on the beach said it all. "That was fantastic,” he beamed. In the air with Mr Jackson were 13-year-olds Amy and Aiden, and Michelle and Dan. How did "pop” convince them? "He just asked,” said granddaughter Michelle. Dan said his grandfather was "always doing crazy things” so the skydiving idea didn't come as any real surprise. "He walked Kokoda in his 80s and walked across England, too. He keeps us busy,” Dan said. Teens Amy and Aiden said they were thrilled to join in. "When pop did it last year I wanted to go so I was really happy when he asked,” said Amy. Aiden, who wants to be an Air Force pilot when he grows up, said he would love to jump again. 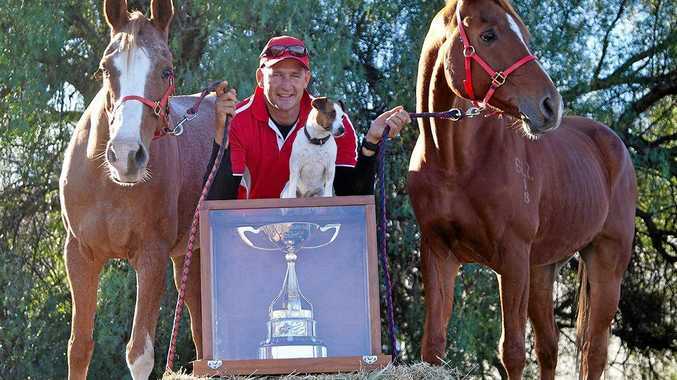 "A couple of the younger ones are waiting to have their turn (skydiving) next year,” Dan said. "I'm going next year,” young Lachlan piped up. Mr Jackson said he'd been hooked on the adrenaline after trying skydiving for the first time last year at the age of 95. "This was only the second time I've done it,” he said. "I enjoyed it more this time I think because I knew what to expect. Mr Jackson said his instructor David talked him through the process and even let him take the controls at one stage. "It's incredible the view from up there. You can see right up the coast, the length of the sand beaches. "I knew they were there, of course, but having a bird's eye view is amazing. "The clouds were all around us and we were in a clear blue patch. Mr Jackson said his major motivator was to be remembered. By creating memories like this, how could they forget?